Who wrote the children’s book, Corduroy? In what year did the Individuals with Disabilities Education Act (IDEA) become law? Questions like these are on the menu at a free Pub Trivia event open to the public. Grab your team, and join us! WHEN: Monday, Oct. 8, 2018, 7 to 9 p.m.
WHERE: The Oregon Public House, 700 NE Dekum Street, Portland, 97211. 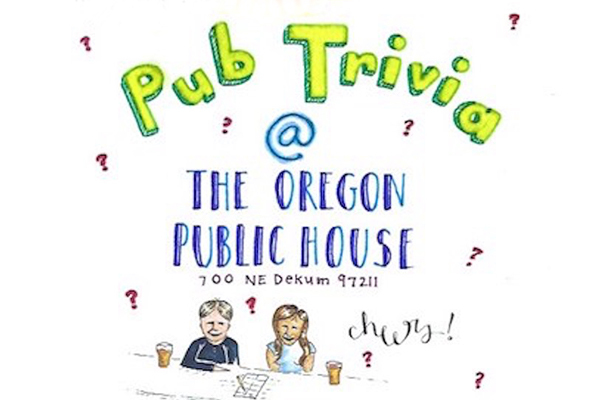 The 15-year-old Shadow Project, a leader in education equity, is hosting six rounds of Pub Trivia, with all rounds focused on education and literacy. Prizes will be awarded to the top players/teams. A portion of proceeds from food and beverages will benefit Shadow, a Portland nonprofit that makes school more accessible and engaging for students with learning challenges like dyslexia, ADHD, and autism, so they can achieve their potential.